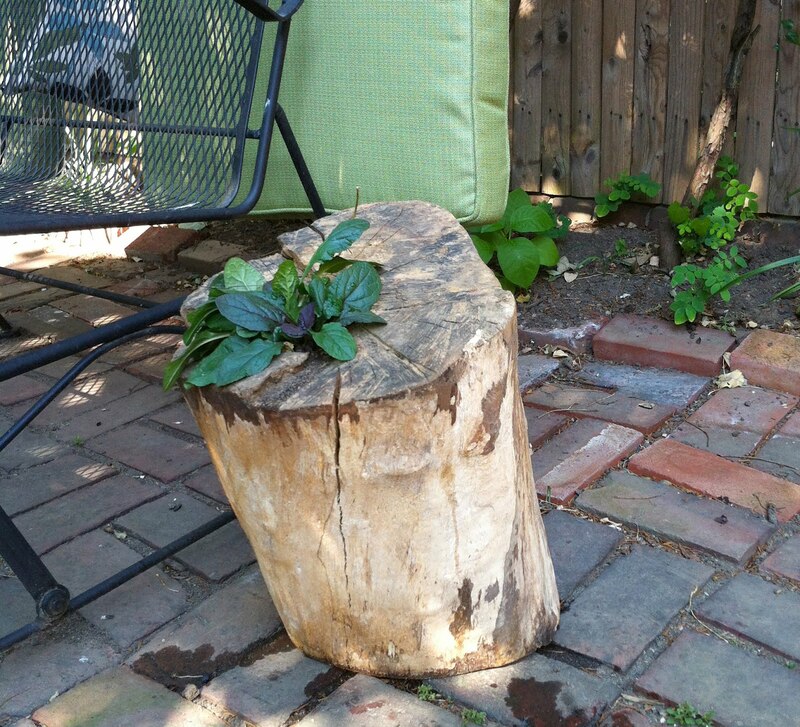 ... but luckily, it was just a tree stump turned planter for the back yard! 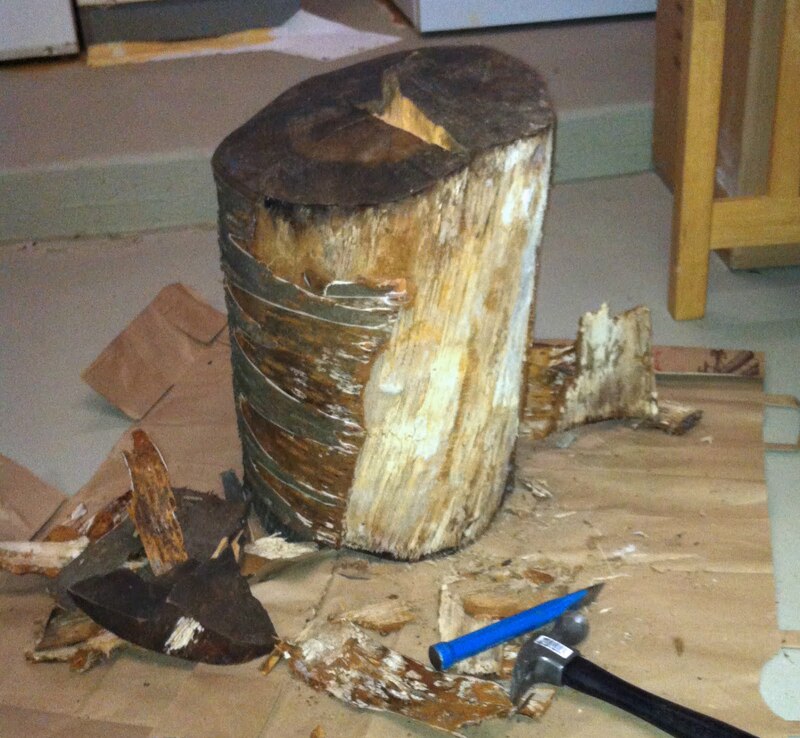 I've become kind of obsessed with these log-based side tables that have been floating around the internet. So I found someone on Craiglist who was giving away their cut down tree, and swooped in to pick up two pieces, each about a foot in diameter and two feet long. I didn't spend too much time identifying the species of tree because, honestly, I have no idea how to do that in the absence of leaves (any takers?). 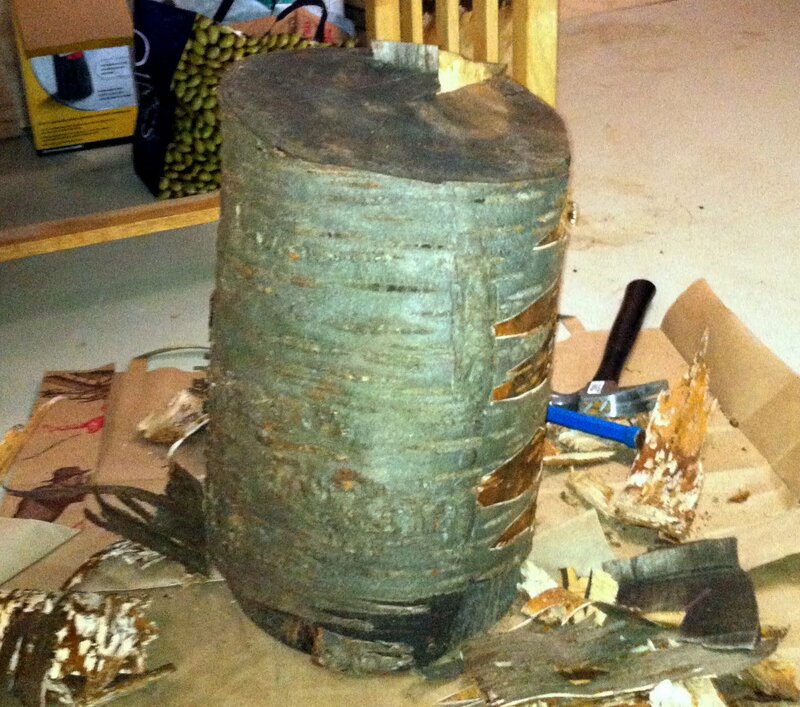 Then I saw that one of the pieces had rotted out on the inside somewhat, so it seemed like having that in our living space wasn't the greatest idea. But outside? Why not! I'm quite happy with it. My only question is whether the plant will survive inside the tree trunk - could the tree rot be dangerous to the plant somehow? I guess we'll have our answer in a few weeks. Meanwhile, the second piece is still undergoing processing, and will be revealed shortly!